I do a lot of work with the Anti-Inflammatory Diet. It is one of the services I provide so I would like to think I am an expert on that topic. I just learned of a new tool for chronic inflammation as not all inflammation is bad. But the chronic one can be! Chronic inflammation is due to the immune response being in over-drive. For example. 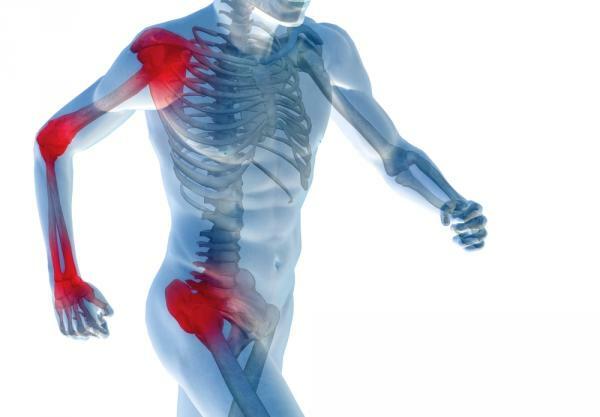 initially after injury, inflammation is part of the healthy immune response. Inflammation protects the cells as they try to heal. It is when the inflammation remains long past the injury that it becomes chronic and the healing is stalled. Who usually has chronic inflammation? Endurance athletes, those with injuries not healing, those with auto-immune issues, obesity and anyone in pain. As I work with my clients, I usually start them on an Anti-Inflammatory Diet. I also use Nutrition Response Testing to identify what some of the inflammatory components may be – sugar, wheat or other food items. But they can also be toxins the body is not excreting well – plastics, medications, food preservatives – or something else. As we continue to test monthly, we enable the body to heal by removing the components that are increasing the inflammation. My work is to identify where the inflammation is coming from using food logs and the Nutrition Response Testing. Then I can change the food, add anti-inflammatory foods and modify as needed over time. I empower the client to learn how foods can contribute to their symptoms of inflammation and choose to avoid them. Most clients I have seen have had their pain resolve in 4 sessions or less than 2 months. Considering many have been suffering for years, it is a pretty short amount of time, and darn good track record. I have had similar results with GI issues even when clients, mainly athletes, have seen many other nutrition practitioners. This is why I like this new product that just came out. It is called OmegaGenics SPM Active. It is not just for athletes, but it is promising for those chronic inflammatory cases where we seem to have done everything but symptoms nag on. Athletes put themselves through excessive training (compared to most) and can have chronic inflammation in the joints, muscles and often GI tract. Often times what they eat is considered healthy by normal standards, yet many of the standard options for athletes are full of inflammatory ingredients (mainly wheat and sugar). Here is more information on the new product which include Specialize Pro-resolving Modulators. Huh? Well, basically it is helping to bring the immune system response of inflammation back to a normal state of balance. When in chronic inflammation, the immune system response is on over-drive. This helps to bring it back to normal levels along with the anti-inflammatory diet. I will report back as to how it is working for me as I do have a nagging hip issue. Today was my 3rd day taking 2 softgels per day and my yoga session was much improved over the same class just last week. Is it just time or is it the supplement? I will let you know. But if you have chronic inflammation, this supplement may the latest tool to overcome the chronic inflammation! I have been using it now for a week and have had my nagging aching hip (slow recovery from an injury) finally stop hurting! Did hill repeats today and this is the first time in the past 4 weeks where I did not get of the bike with my right side aching! So I would say the supplement is working! keep in mind, I already do the Anti-Inflammatory Diet. So adding a supplement into my regiment will be noticeable even within a week.